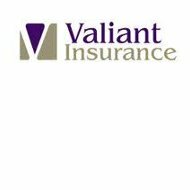 Valiant Insurance Company and Valiant Specialty Insurance make up Valiant Insurance Group, a subsidiary of First Mercury Insurance Group, Inc. This company is a specialty property and casualty insurance company serving commercial markets. While they offer several insurance products, health insurance is not one of these. One must be careful not to confuse Valiant Insurance Company with Valiant Healthcare, a home healthcare agency that does not sell any type of insurance. If health insurance is what you need Valiant Insurance Company is not for you. Start looking elsewhere by clicking here and entering your zip code for a free list of health insurance quotes from local companies. Valiant Insurance Company was incorporated in 1973. It was purchased by Zurich, North America and under their ownership until 2008, when it was bought by Ariel Holdings, Inc. of Bermuda. In 2010, Valiant was bought by its current owner, First Mercury Insurance Group, for $55 million. Today Valiant is led by president and Chief Executive Officer, Gary Dubois. It employs approximately 50 individuals. Although Valiant’s website currently has a message posted on it saying, “This account has been suspended,” you can access additional information about the company and its insurance policies by calling or writing to Valiant Insurance Company. The main headquarters of Valiant is listed in New York City; however, the company is also listed as being located at the address of its parent company, First Mercury Group, in Michigan. Valiant Insurance Company and its parent company, First Mercury Insurance Group, have received a rating of A- (Excellent) by A.M. Best. This rating indicates that the company is financially stable and has a positive future outlook. The Better Business Bureau does not currently rate Valiant and no other ratings could be located. If you are interested in a career in the insurance industry, you may want to consider Valiant Insurance Company. Its parent company, First Mercury, indicates on their website that they are seeking intelligent, innovative individuals with a passion for their careers. If you are interested in applying for a job or finding out about current openings, you can email [email protected]. If you are in need of health insurance specifically then you will want to look at companies other than Valiant Insurance Company. While some people are lucky enough to have their health insurance needs taken care of through their employer, others are not so lucky. Starting the job of finding affordable health insurance can be a daunting task, but here are some tips to get you started and headed in the right direction. First, you will want to develop a list of several companies to explore. Speak to friends and relatives in your area to get recommendations. Do some online research and find companies with positive reviews and solid ratings from financial ratings companies such as A.M. Best or Standard and Poor’s. Also, review information from the Better Business Bureau. Next, find information about the companies’ policies and get rate quotes from several providers. You can rule out those that are not in your budget. After narrowing down your search to a few companies you will want to find out more in depth information about their plans, and if your current doctors are in their network. If your doctors are not part of their network you need to consider if you are willing to switch doctors or not. Finally, you can make a decision on the health insurance company you wish to choose to provide you with medical coverage. Review your rate quotes, provider networks, and policy information and you will be prepared to make an informed decision. Get started now comparing health insurance companies. Click here and enter your zip code for a list of quotes from several health insurance providers.